The paper warns that a significant body of philosophical work in virtue ethics is associated with a critique of the market economy and economics. The market depends on instrumental rationality and extrinsic motivation ; market interactions therefore fail to respect the internal value of human practices and the intrinsic motivations of human actors. 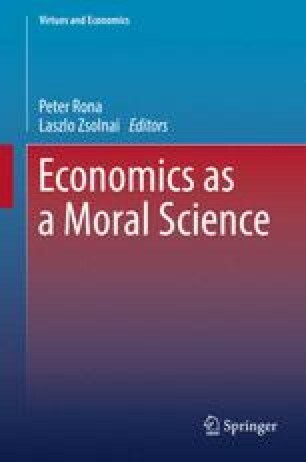 By using market exchange as a central model, mainstream economics normalizes extrinsic motivation, not only in markets but also in social life more generally; therefore economics appears as an assault on virtues and on human flourishing.